Hay Quality Without an Analysis? Does Your Hay Need to be Tested? 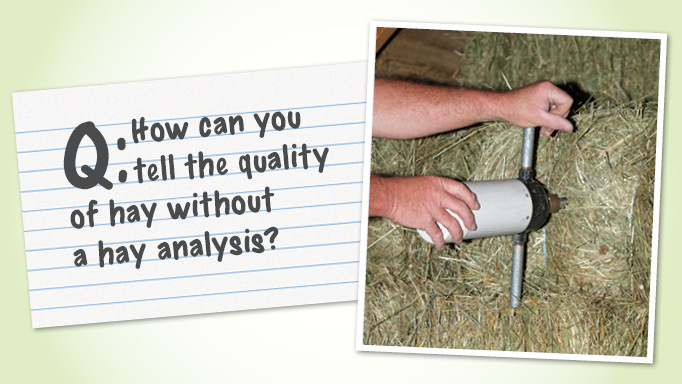 How can you tell the quality of hay without a hay analysis? Get expert advice on whether or not to have your hay tested. How can you tell what the hay quality is like without a hay analysis? The truth is you can’t. Even when equipped with information on plant maturity, species, etc., the same “type” of hay from two different, but neighbouring, fields might yield very different results. That said, you can get an idea about the range of nutrition with some information about the hay that you can get from the hay dealer or through plant recognition. For example, legume types of hay (alfalfa, clover) tend to have higher protein (14-20%) and calcium (1-3%) than grass hays (6-14% protein, 0.2-0.8% calcium). Similarly, hay quality is greatly affected by maturity, whereby a younger plant tends to have more protein and less fibre than an older plant. For example, a young timothy hay where the seed heads are tiny will have higher protein (maybe around 12%) and only about 30-35% acid detergent fibre (ADF), poorly fermented fibre (an indicator of digestible energy, where lower values are more digestible and yield more calories), while timothy hay with big long seed heads would have lower protein (<8%) and upwards of 40% ADF. It is impossible to tell how much phosphorus, iron, copper, zinc, etc. there is in hay without a hay analysis. The cut of the hay doesn’t yield consistent differences in nutrition composition per se, but affects what species (or weed) may be predominant in a mixed field and the maturity level of the plant. You can somewhat gauge the non-nutritional quality of hay simply by looking at it. Is the hay green in colour? Is it mouldy? What is the ratio of stems to leaves? (More nutrition is in the leaves and blades than in the hard stems.) Was it baled well, such that there aren’t dead animals or foreign objects in it? 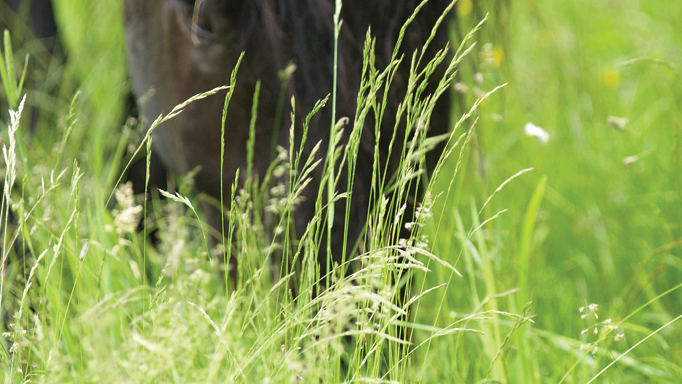 Even the highest nutritional quality hay isn’t any good if it makes your horse sick! Stemmier, coarser hay will typically have higher lignin and ADF and will, therefore, also be more likely to be lower in energy density and perhaps also sugars. This may make it more appropriate for horses that are obese or insulin resistant. However, these horses should have their hay analyzed to ensure that other nutrients (particularly protein) are being met with the hay in order to supplement these more effectively, because they (hopefully) are not getting other concentrates. Determining whether to feed your horse a source of hay depends on your comfort level and budget. A hay analysis really is simple, and will cost less than $30. From that, you will have the biggest tool when it comes to evaluating your horse’s diet – because a horse will (or at least should!) eat far more hay then they will eat anything else. When the hay isn’t adequate in a certain mineral or other nutrient, it can play major havoc on your horse, even if you are feeding an excellent concentrate mix. So, it all depends. 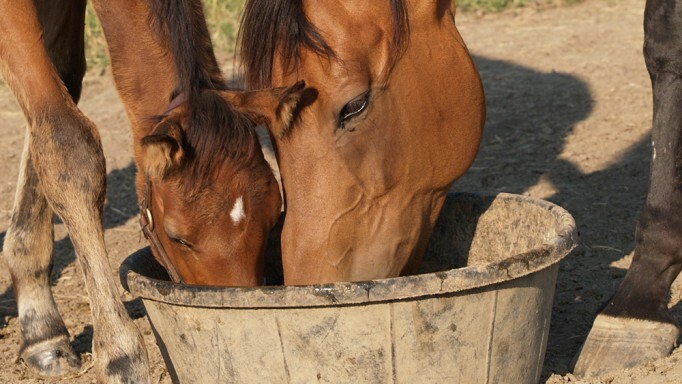 Is your horse worth knowing how much phosphorus or magnesium is in your hay, or how much protein, so that you can better select a commercial concentrate and/or supplement to complement it? 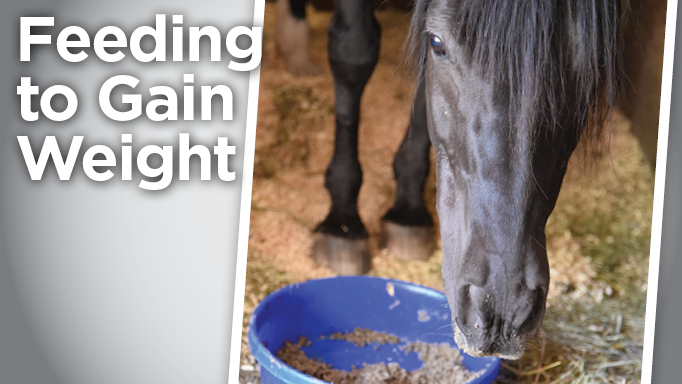 Remember, hay (or pasture) is the most important thing your horse eats. And they (ideally) eat more hay than grain. So, if you don’t do a hay analysis, the hay quality could be off and your horse’s diet could be lacking something very important that you wouldn’t know about without doing an analysis. Help your horse gain weight. 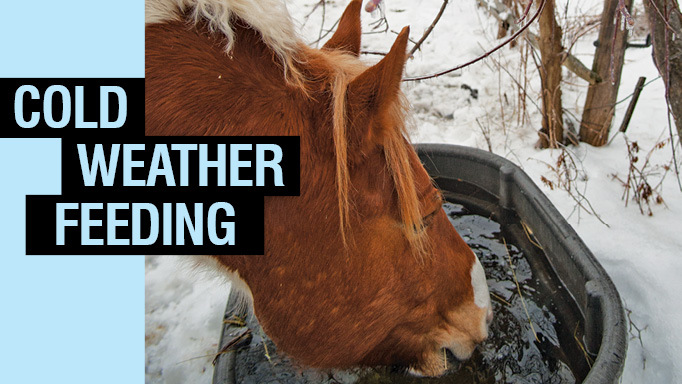 Get advice on maintaining your horse's balanced diet during the winter.